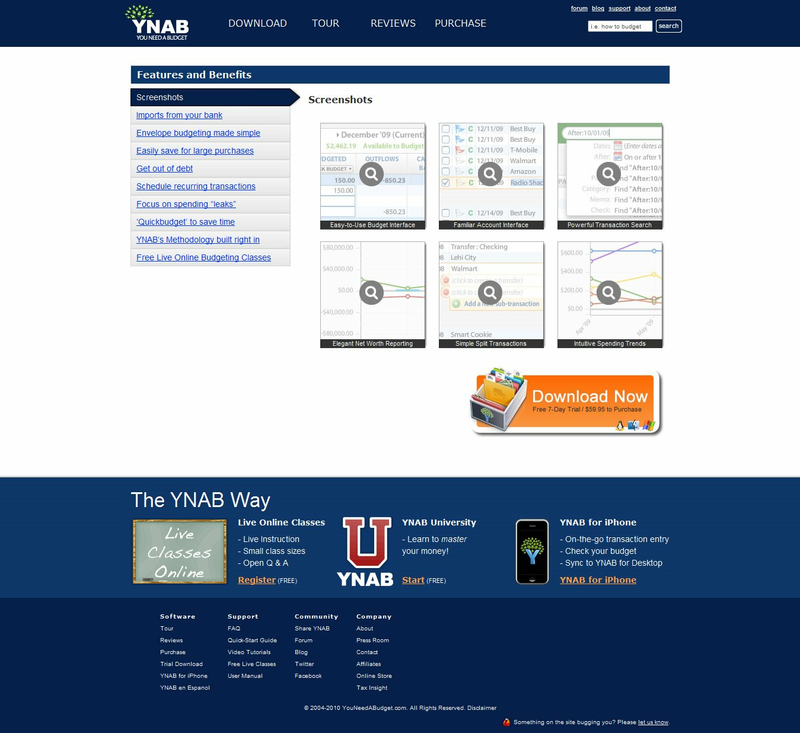 You Need A Budget (YNAB) is a user-friendly application for personal finance management. The company teaches people how to become awesome at managing their money by following a 4-Rule methodology. And they sell personal budgeting software that follows the methodology. The software is elegant, simple to use, and does just what you need it do – meaning you don’t bog down in unnecessary features that eventually make you want to quit (and pull your hair out). 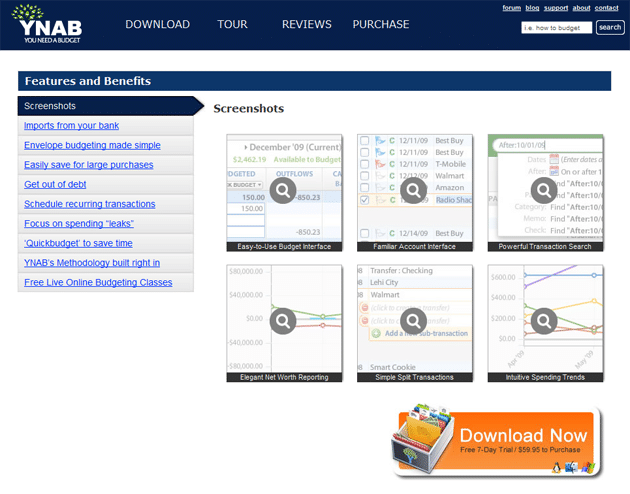 Using Visual Website Optimizer, they wanted to increase the number of downloads for 7-day free trial of their personal budgeting application. For their first test, they chose to optimize product tour page. For software applications, the tour page is the one which takes up the job of convincing a casual visitor to try out the application. Motivated visitors will anyway download the application so it is the semi-interested visitors who need to be convinced. To optimize the tour page, YNAB chose to do a simple A/B split URL test with the conversion goal as downloading of the free trial. We simplified the page presentation and strengthened the call to action with a very convincing and authoritative quote. Visual Website Optimizer was extremely valuable. We’ve been working with Google’s website optimizer for the past three years and we’re never going back. We were constantly having to jimmy-rig the script code, make sure it was not conflicting with Adwords code, or Google Analytics, etc. It was a big enough nightmare that we avoided testing as much as we could – something that cost us real money over that time obviously. Are you wondering what is going to be the next page they are going to optimize? Homepage, of course! 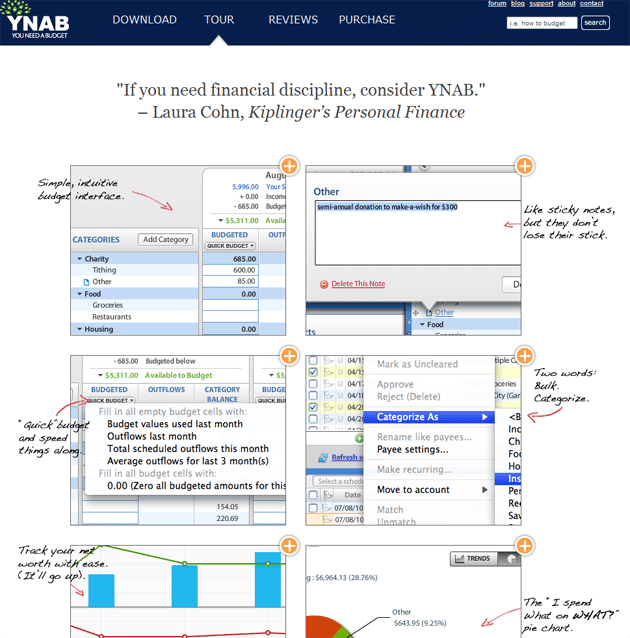 YNAB will optimize their complete funnel from homepage to product tour to payment. We wish YNAB best of luck for their future tests. Do human photos on a landing page increase sales and conversions? awesome. Definitely trying something similar on the company I work for’s site. Makes sense, the new design is much cleaner and eye pleasing. Great article, I’ve streamlined my Tip Calc Android app with simple design and a straight forward click path. Let’s see if it helps!